Jealousme is a largest online marketplace where customer will get best priced on very branded products such as mobile, Soundpeats earphones with mic, Mifa and Soundpeats bluetooth portable speaker, ERD power bank, iphone lighting cables, Headphones and more trusted brands. 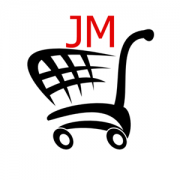 Launched in january 2017, Jealousme.com is an online market leader in electronics retail services. Jealousme comes under top 50 ecommerce website in India according to 2018 survey.